Bahria Orchard Lahore. Affordable Residential & Commercial Plots in Bahria Town. Down Payment starting from Rs. 12,50,000. Easy installment plan. Bahria Town is one of the leading land developers in Pakistan, both in terms of quality and cost. Keeping up with its tradition of providing a quality lifestyle Bahria Town has launched phase 4 of Bahria Orchard in Lahore. Bahria Orchard is known and commended for its greenery and scenic landscapes. Originally envisioned and designed as a Golf Course society it is very scenic and because of its suburban location, the place is ideal for those wish to live in a place free of all the noise and air pollution found in the metropolis. 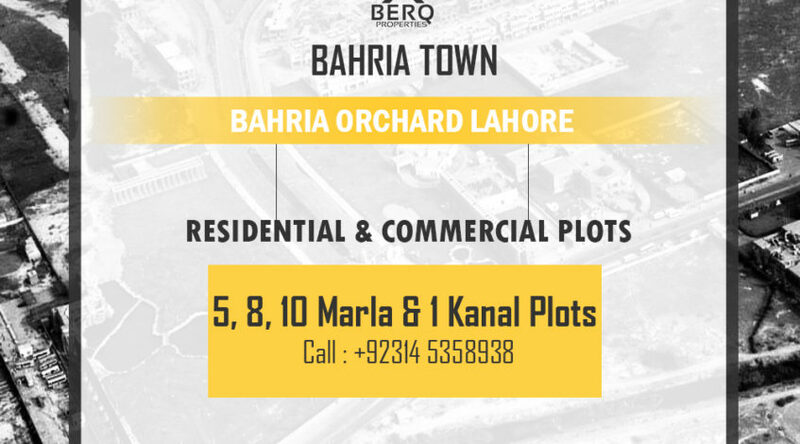 This new phase of Bahria Orchard is your chance to get your home in one of the best-developed societies of Pakistan. Don’t miss out on this amazing opportunity and call us to book your plots.